AGAME Universal can provide a pallet racking solution tailored to the needs and budget of your business. We have years of expertise in the warehousing industry and offer support services to ensure you are getting the right product to maximise the usage of your warehouse space for the ideal warehouse solution. Making your facility as effective as it can be means choosing the right kind of racking when you first get started with your operations and updating it as necessary for new applications. 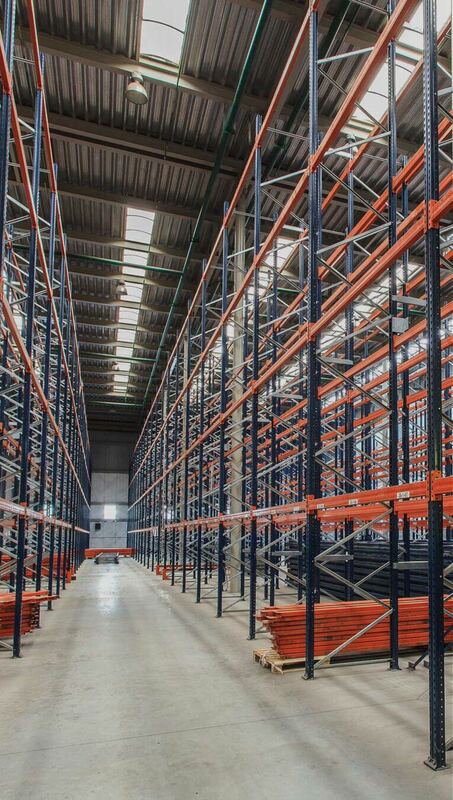 Double deep racking is perfect for any facility that maintains a large amount of inventory or that has more inventory than was initially expected. It is specially designed to store items two pallet deep. Using a double entry rack, you can store as many as four pallets deep. It offers a great amount of storage density for the space, as well as excellent economy. Plus, it’s highly resistant to forklift operator error and the impact damage that might usually result. Frame and beam selectors couple with optional upper-level guide rails to make it easy to use. When looking for drive in racking, you have two options: Conventional pallet racking that has been reinforced, or purpose-built racking intended for drive in applications. Generally, purpose-built drive in racking provides the best value and more efficient operation. Drive in racking can come with self-centreing rails that automate the process of realignment. Space efficiency is maximised due to the absence of aisles and cross-beams that typically take up space. Plus, pallets will no longer need to be stacked on top of each other. Narrow aisle racking is specialised to ensure that you can handle all your warehouse applications even within a smaller than average space. It has an extremely narrow footprint coupled with high stacking that reduces wasted space. 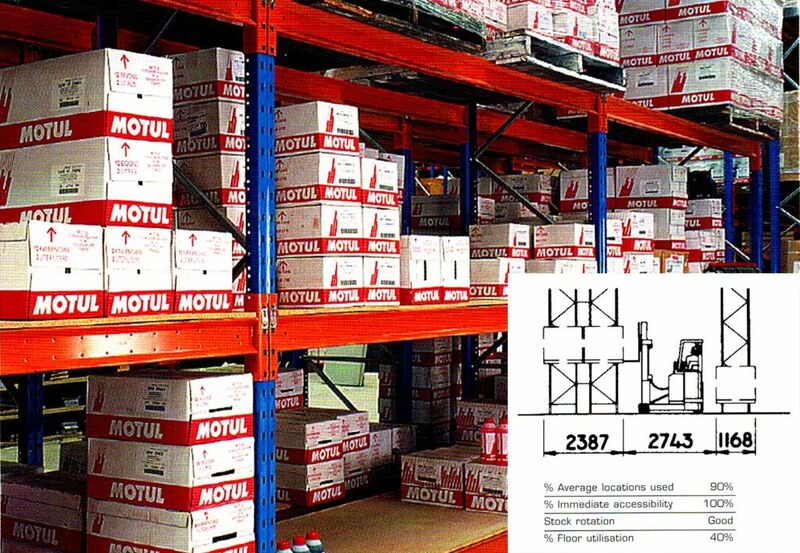 When organised correctly, you’ll achieve rapid throughput without having to sacrifice individual access to each pallet. 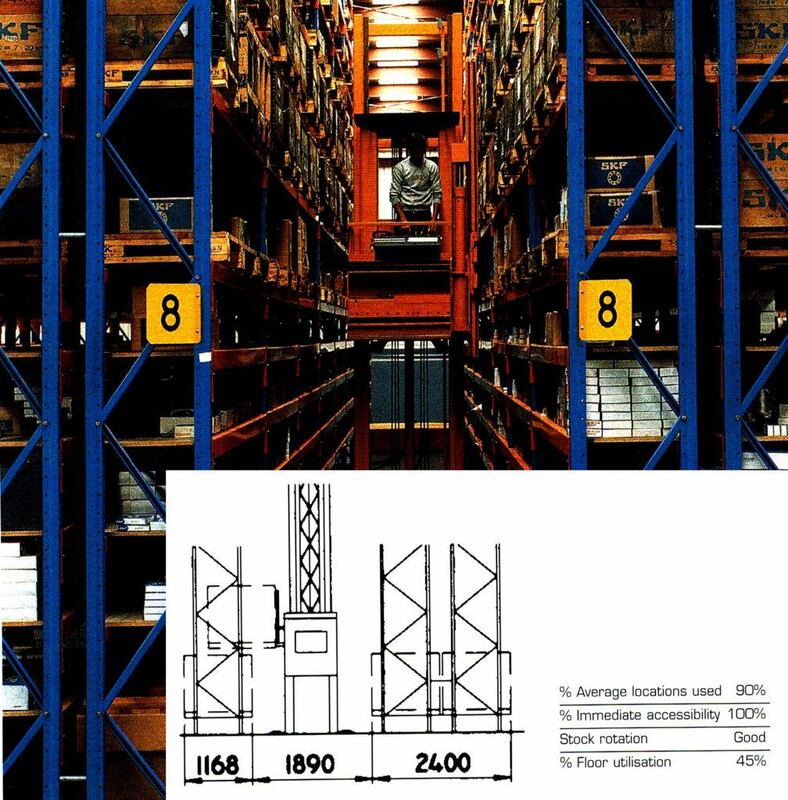 Selective Racking is a simple and straightforward solution that can be correct in many situations. It is highly economical and provides unfettered direct access to all pallets. This allows it to suit virtually all types of palletised goods and is great for rapid throughput — while still giving you the level of freedom you need to reorganise as necessary. 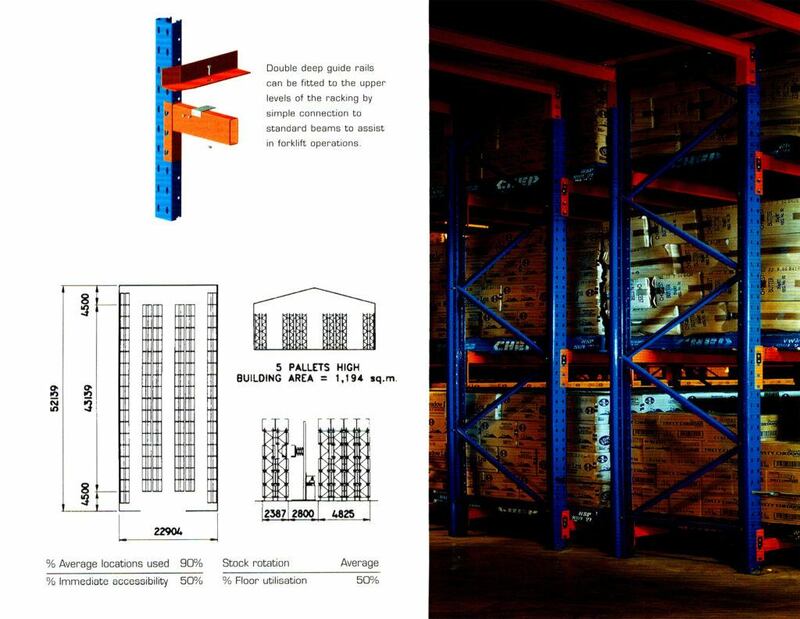 To get the most from your pallet racking system, it’s a good idea to know about the critical pallet racking components. All our components comply with the requirements of AS 4084-2012 ‘Steel storage racking’ and come together to form all our racking solutions with the assistance of one of our AGAME Universal experts. 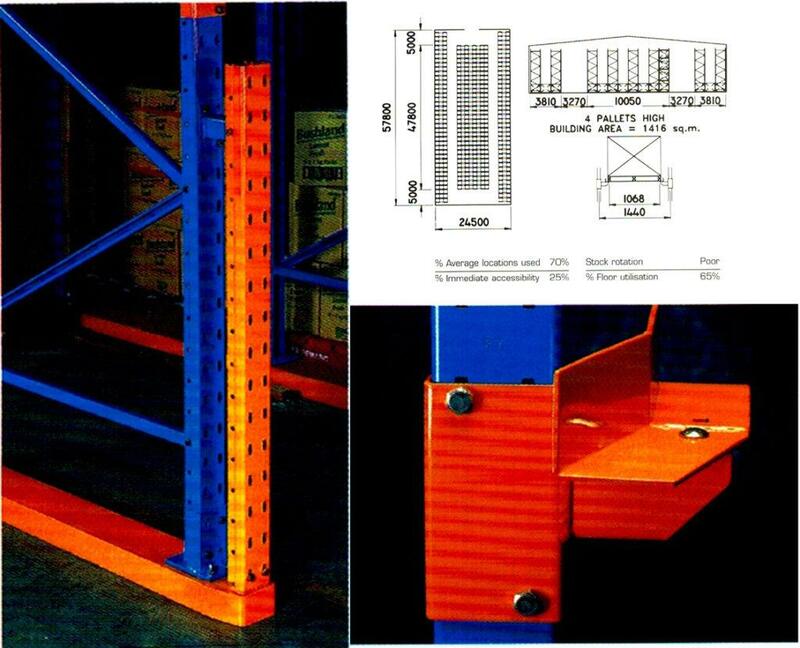 An upright is a vertical steel support frame used on both sides of the bay to support pallets of product. The capacity of an upright depends on column size, column type, gauge of steel, and bracing configuration. Each upright includes symmetrical, hexagon-shaped slots at intervals of 76 millimeters to facilitate adjustment of beam height. Two finishes are available: Lead-free painted or pre-galvanised. 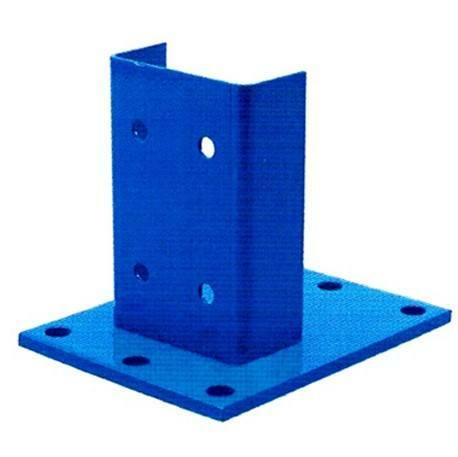 A steel cross member engineered to support pallets and product. Two cross members attach to an upright or frame to form a bay. The capacity of a beam depends on the total beam thickness. The most common types of beams are roll form and structural. Baseplates are crucial for performance: They spread the load of the upright beam over a larger area to prevent damage and provide a smooth surface for the upright to be situated on. Sturdy baseplates make it easier to secure the upright to a concrete floor and keep racks level. AGAME can offer a wide range of baseplates. All beams are welded directly to beam end connectors at the factory. 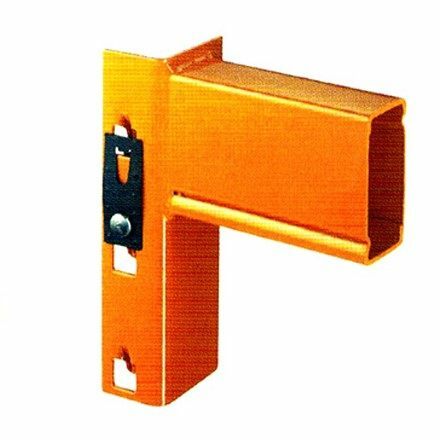 Beam end connectors come with safety locks that help to prevent incidental damage during warehouse operations, especially accidental uplift when forklifts or other pallet handling machines are being used. While we do specialise in pallet racking, our full range of shelving, mezzanine flooring, work benches, ladders, mobile platforms and accessories ensure that your warehouse will operate at maximum efficiency. When you are in the middle of a major warehouse refit your needs go beyond a simple situation of buying new equipment. Our expert team can consult with you to determine the best transition of warehouse storage. We can help install, relocate, and dismantle shelving, racking and other products. Once you know what you need and what you don’t, we offer a buy back service for your unused shelving and other items.